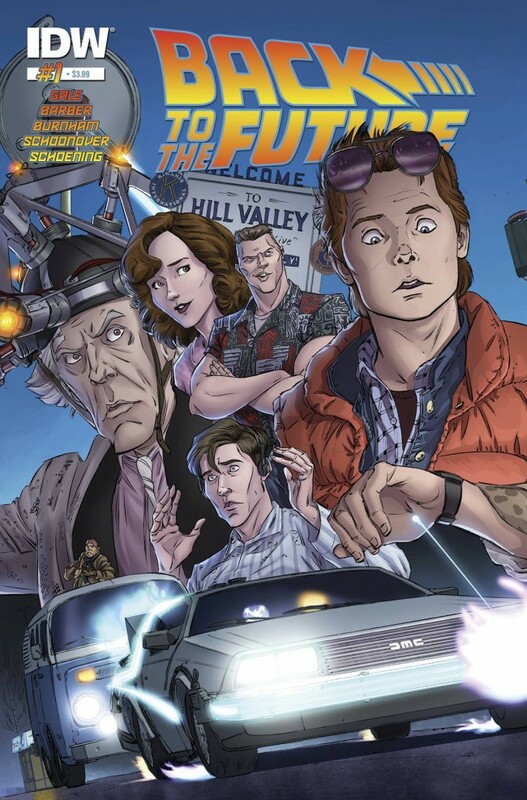 With the start of IDW’s new Back to the Future series, they could have chosen to continue tales taking place after the third film; Bob Gale is helping with scripting duty after all. Instead, wisely we believe, they chose to craft new tales set in the past to fill in the gap of our beloved characters. One of our greatest questions about the series finally gets answered: how did Marty McFly, a high school student, get involved with Doctor Emmet Brown, the local mad scientist of sorts? Not only do we see that story unfold, but the series tells a second story that digs into Doc’s scientific past. Sure, we want to know if Marty and Doc had more time traveling adventures, but doing that here would have felt forced. These stories feel natural and look to give us a great insight into the series itself. Considering this is the original film’s 30th anniversary, this series is already looking to be a fantastic tribute.